“Faces of Faith” is a traveling exhibit of 16 x 20 inch photographs of Catholic sisters with information about their lives under communism. 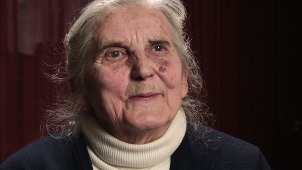 The exhibit is one piece of the “Sister Survivors of European Communism” project. Catholic women’s religious congregations, which once flourished in Central and Eastern Europe, underwent major crises as a result of the political and ideological oppression of European communism. The changes imposed by communist rulers in general were particularly severe for women religious. One goal of communism was the liquidation of the Catholic Church. As public representatives of the Church, the lives of religious congregations were suppressed for four decades (approximately 1947-1989). Because Sisters refused to renounce their faith or relinquish their vows, and in some cases their religious garb, their properties were confiscated, many were imprisoned or forced into exile. They were sent to work in factories, on farms, and in mental institutions; in any areas where they could not influence others relative to God and prayer. 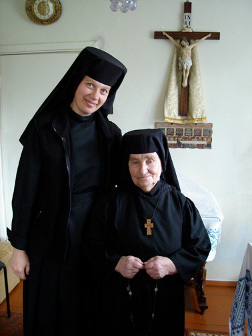 In 2003 two Sisters of St. Joseph of Concordia, Kansas, Dr. Margaret Nacke and Dr. Mary Savoie, began to collect personal recollections, photographs, books and other materials detailing the lives of sisters during the communist period. Eight European countries are represented: Bulgaria, Czech Republic, Hungary, Lithuania, Poland, Romania, Slovakia, and Ukraine. The complete collection of materials is archived at Catholic Theological Union in the Bechtold Library, Chicago. 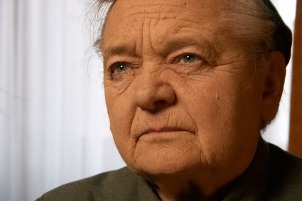 Deported to a concentration convent in Czech Republic; six sisters in a very small room for sleeping; worked at thread machines in a factory under poor conditions; eventually moved to a charity house taking care of elderly sisters; also worked in Slovakia with mentally handicapped; sent to prison for communicating with her provincial and spent time in solitary confinement. 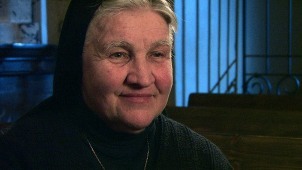 Worked as an administrator of a hospital in Bucharest where she was arrested for allowing a priest to say Mass in her office; condemned to six years in prison where she saw many people die of hunger and illness; 1964 amnesty for political prisoners, Josefa was freed but rearrested and sent to Baragan re-education camp for two years’ forced labor; released but had no home; found work in a hospital caring for severely burned patients. 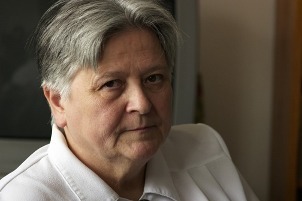 University German professor; lost job because of her practice of religion; demoted to a clerical post; typed and circulated spiritual books to others; learned about Vatican II from outside sources. Ph.D. Catholic University of Lublin; entered congregation in 1989 at a time of collapse of communism; religious formation began at home where parents talked about Solidarity Movement; remembers the hope and strength that visit of John Paul II gave to people in Poland; involved in research focused on Sisters during Nazism and communism at Catholic University of Lublin. 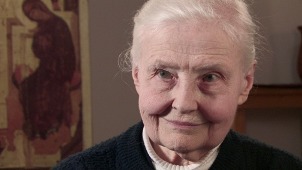 Born in Lithuania; fled with her family to Germany; raised in the United States and entered Lithuanian congregation in U.S.; involved with carrying “Chronicles of Catholic Church” through Moscow back to U.S. for publication in late 1980s: returned to Lithuania after revolution; became president of Leadership Conference of Women Religious there. 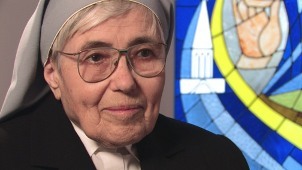 “Secret Sister” (woman who entered congregation in secret during underground period); admitted to congregation in 1960 on her 18th birthday; first vows in 1966 at night in confessional to secure secrecy. 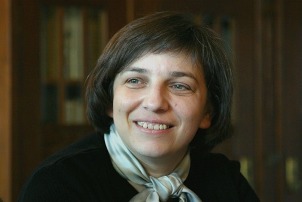 Leader among Sisters in Hungary. Worked in the nunciature in Bucharest. 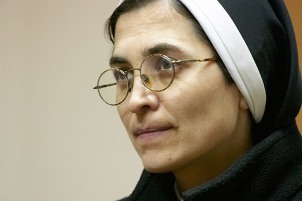 Accused of being a Vatican spy and arrested; spent 14 years in prison where she endured beatings and torture. 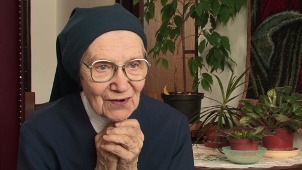 Born in 1929 in Warsaw; entered Ursuline Sisters in 1953; expelled from university because of faith convictions; ten years later was able to graduate from same university in Warsaw; participated, with her community, in actions defying state takeover of technical school in Pniewy, nursery schools in different houses, guest house for students in Warsaw; as catechist taught in state school for two years before being dismissed; continued teaching in parishes despite facing many difficulties. 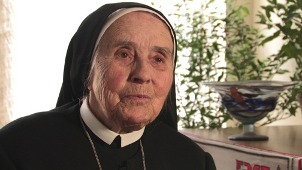 Born in 1921; entered Mother of God Sisters in 1942; during communist period, in the 1960s, lived in Jibou in a small community of three that was tolerated by the communist regime; moved to Blaj in 1994 and in 1998 relocated to Sighet; with little formal education, she worked hard all her life. Entered Sisters of St. 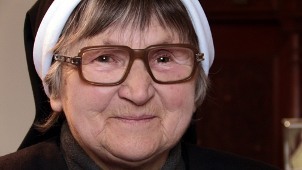 Basil congregation in 1988; lived two years in the underground; knew about Greek Catholic church from priests who came to her family home during communism to celebrate liturgy; worked in a factory and continued to participate in prayers and meetings of the congregation. 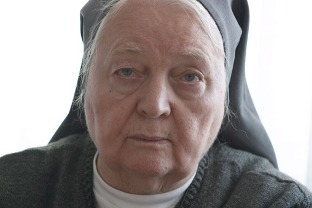 Spent 11 years in four different concentration convents; worked in fields, with poultry and did other outdoor work all year round regardless of brutal winter weather; was provincial of her congregation. 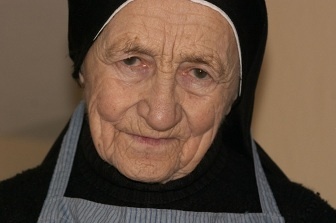 Age 29 when her motherhouse in Szeged was taken on June 29, 1950. Awakened at 2 am, Sisters were told to pack a suitcase, go to the chapel where they were to sign a government document declaring that they were “dangerous for the security of the city and a threat to general peace and order.” Paschalis later recognized as one of the 10 School Sisters allowed by state to be “in formation” as evidence of state’s “openness” toward religion. 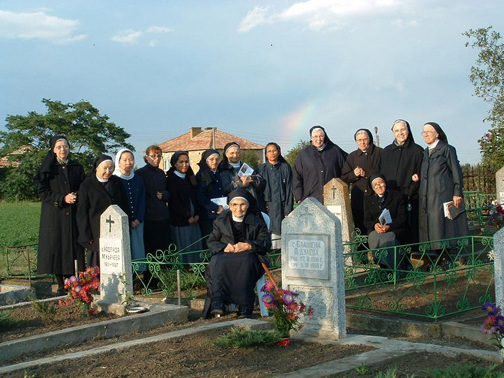 In 1914, the Benedictine sisters left Tutzing, Germany, for Bulgaria to serve the people in education and health care. Then 1952 proved to be a year of persecution for church in Bulgaria, and in early 1953, all church and convent properties confiscated. Overnight the sisters became totally destitute; all contact with foreign countries was cut off. I HAVE FOUGHT THE GOOD FIGHT, I HAVE RUN THE RACE TO THE FINISH, I HAVE KEPT THE FAITH. 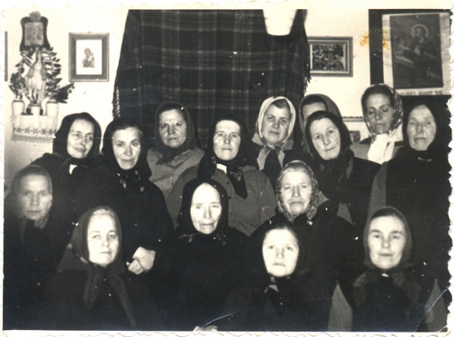 1972 – A meeting of St. Joseph Sisters during the underground period in the village of Zboyiska in Lviv, Ukraine.